The Wright Housewas owned by B. F. Wright and was located at 101 East Main Street. The Wright House was established in 1875. This building was used as a hotel and their rates were $2.00 per day. The hotel was in modern arrangement and management. It is being credited as one of the first class hotels in this area of the state. 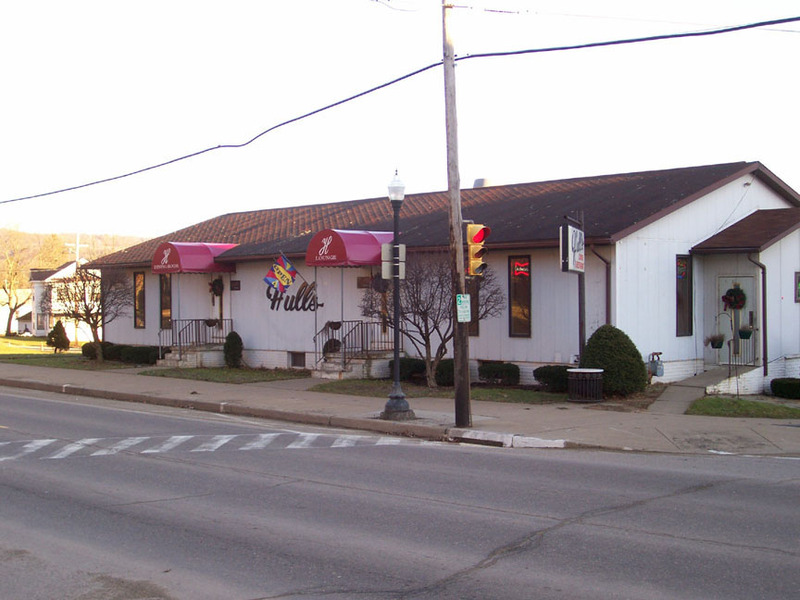 The Wright House was known for its excellent table out of all five large hotels and public boarding houses in Smethport. A man named Mr. Sherman built the hotel and the House on the sid of it was built for him and his wife for their own personal home. Beneath the inside main windows was a railing that was put there for men to put their feet on while they rest in the lobby. Also in the lobby stood a coal stove and a wooden check-in desk along the wall. When the bar was reopened after the prohibition, there was a copper tunnel that ran along the floor of the bar with running water flowing through it so that men could spit their tobacco between their legs. Later, there was a connecting building between the house and the hotel. (Note: This biography is from the History of McKean County book.) B. F. Wright was born in Madison County, N. Y., in 1835. He removed to Oneida County, thence to Lima, Co., N. Y., and completed his education at the seminary there, after which he visited the West. In 1859 he removed to Smethport, and at the beginning of the was enlisted in Company C, First P. R. V. C. He was wounded at the battle of South Mountain, Md., and received a second wound at Spottsylvania Court House in 1864. On July 3, 1865, he was mustered out of the service, and returning to Smethport accepted a position with the Lafayette Coal Company at Lafayette. In the fall of 1866 he was elected sheriff of McKean County, serving one term of three years. 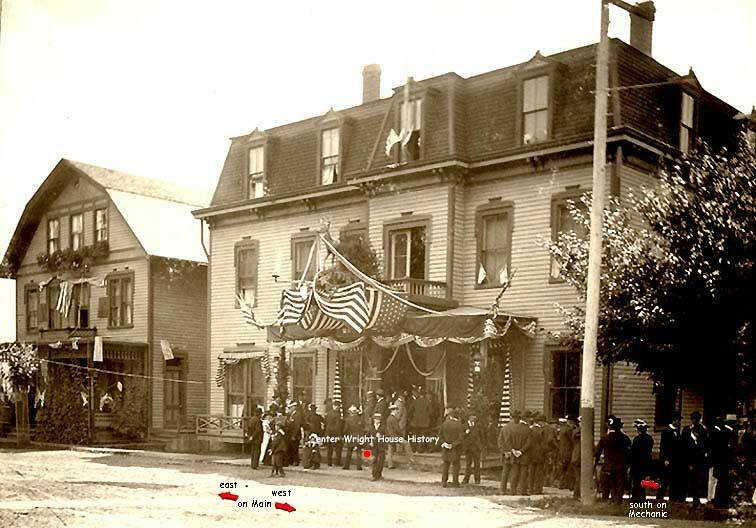 In 1875 he built the hotel named after himself, becoming the proprietor, and being one of the representative men of the county, social and courteous with his guests, and having a large and favorable acquaintance, Wright's Hotel is well and favorably known. He was a member of McKean Lodge, F. & A. M., No. 388, of Lodge No. 183, A. O. U. W., and of the G. A. R. He was a worker in the Republican party. In 1859 he married Miss Catharine L., daughter of O. L. Bennett, and they had five children: F. O. (an only son), Ella, Lena, and Lucy and Eldia (twins). Click on the red dot to see more of the Wright House. Click on the arrows to continue with the tour.